Today in the 4 Weeks to Fill Your Freezer series, Crystal had us make homemade baking mix. I made this a few months ago when she first posted the recipe, and it was wonderful. I used it to make regular biscuits and cinnamon roll biscuits. Everything turned out great, and it was so nice to have something on hand that I could just add milk to and turn it into biscuits in minutes. This time, however, I decided to make only half the recipe. It took me so long to use up the last batch, that I think the baking powder lost its rising power and my baked goods were pretty flat. I also used regular vegetable shortening this time because that is what I had on hand, however, I did use coconut oil the last time and it worked beautifully. My little helper really enjoyed this project with Mommy. He loves dumping the measured flour, etc. in the bowl and stirring everything. I did use my food processor to cut the shortening into the flour mixture. Last time I tried to do it by hand and it took me forever. The food processor made quick work of it! 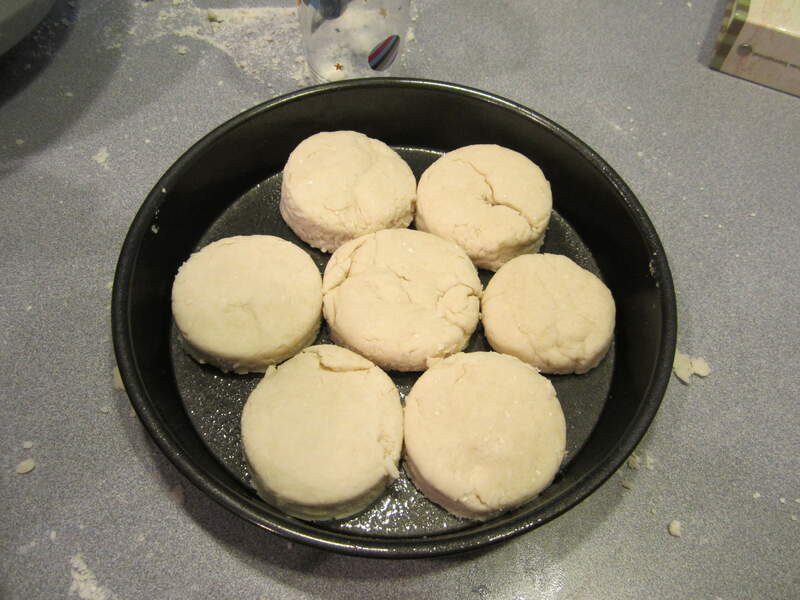 After we mixed up the baking mix, we used part of it to make biscuits for dinner. 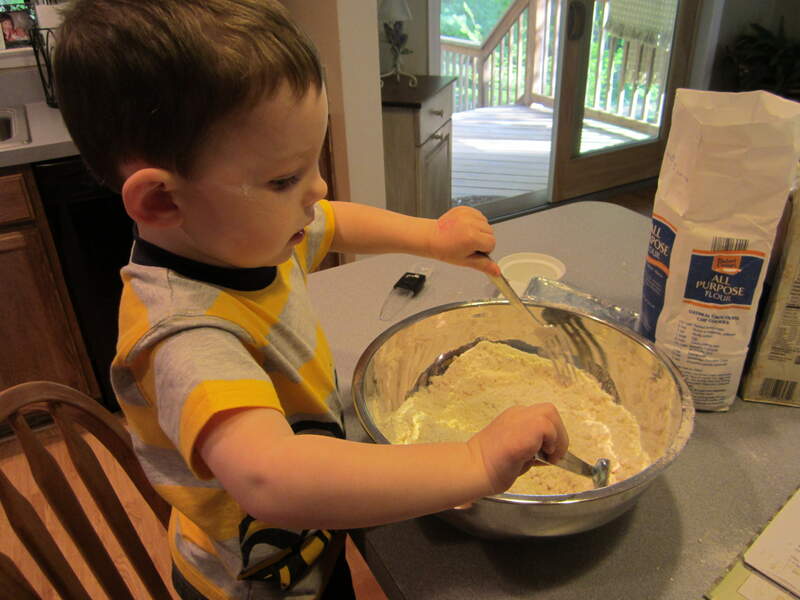 It was so easy to just pour milk into the mix, stir it into a dough, press it out and cut the biscuits. I had them in the oven in under 5 minutes. 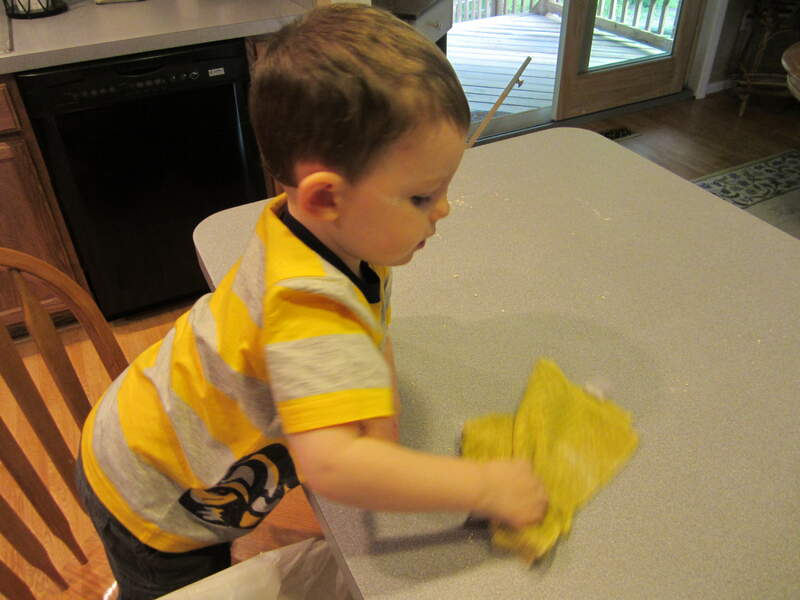 After we put the biscuits in the oven, Tommy and I cleaned up the counter top. He was so cute about wiping everything down! I can’t wait for next week’s lunch series. I wonder what Crystal will have us make…. Erin, I made a full batch but now I am wondering if I should have just made a half batch after reading your post. Your little guy looks like he is doing a great job cleaning. I am also wondering what we will be making for the freezer lunches. We should know soon. Well, just make sure to use it up in 3-4 months. I just used it for biscuits, since I had homemade pancakes in the freezer, but you can use it for pancakes or waffles. I’m excited to get some other meals in the freezer! 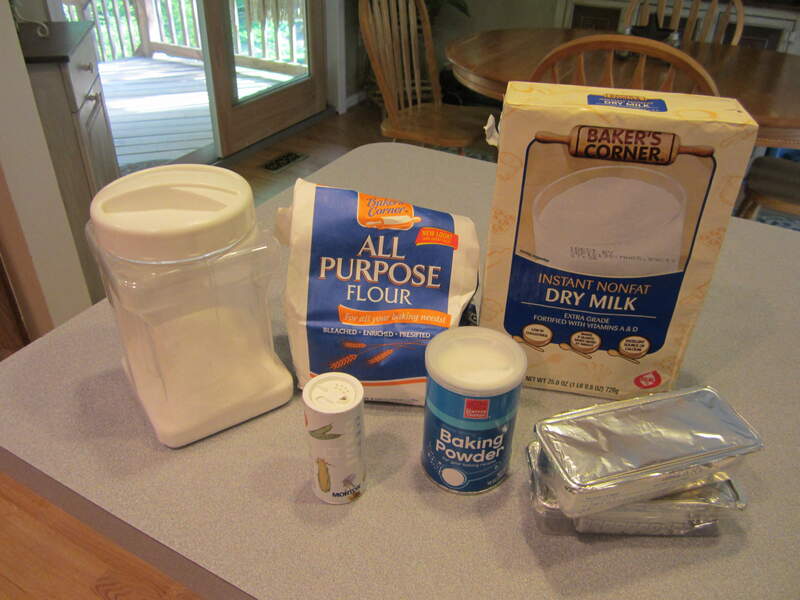 What a great idea to make the baking mix ahead of time! I would love to join in the freezer cooking fun you guys are having….maybe next week.